Proponents of the World War II memorial on the Mall gained the support of President Bush yesterday as they pushed for an immediate Senate vote on a House-approved bill that would prevent further review of the project and get the construction started. Bush issued a statement commending the House for its action, saying it had taken an important step toward thanking those who served and died in that war. 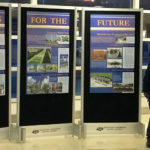 The bill approved by the House on Tuesday would nullify both a lawsuit filed against the project in federal court and the National Capital Planning Commission’s decision to reconsider the monument design at a public meeting next month. The quick and overwhelming vote — the measure passed 400 to 15 and did not go through a hearing — followed lobbying by veterans groups. The only Washington area representative to oppose the bill was Wayne T. Gilchrest (R-Md.). Sen. Tim Hutchinson (R-Ark. ), who has sponsored a similar measure in the Senate, tried to get the House bill passed yesterday, seeking an immediate Senate floor vote under a special procedure that requires unanimous consent. The attempt was unsuccessful because some senators thought the House bill needed amending to make it less vulnerable to legal challenge, according to Senate aides. If senators can come up with compromise language and Hutchinson gets unanimous consent for a floor vote, the Senate could send an amended bill back to the House for final approval today or tomorrow, aides said. 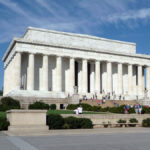 Over the past six years, in hearings before the three federal commissions that review proposed monuments in the capital region, the project’s opponents have argued that the memorial’s location between the Washington Monument and the Lincoln Memorial would block the Mall vista. They also have maintained that its design — a sunken pool and two 43-foot granite arches — is too elaborate. After the project received all the necessary approvals, two opposition groups filed the federal court suit last year and got an order preventing the start of construction. The opponents won another round two weeks ago when the National Capital Planning Commission voted to hold a new hearing on the memorial’s design because of concern over the legality of earlier votes cast by the panel’s then-chairman after his term had expired. But those victories had the unintended effect of spurring congressional action to override the lawsuit and the commission. Members of the National Coalition to Save Our Mall, one of the groups that filed the lawsuit, said they are lobbying senators and have not given up hope. “We recognize this is an uphill battle, but it has been that way from the start,” said coalition co-chairman Charles Cassell. Jamin Raskin, professor of constitutional law at American University, said Congress has acted before to take matters out of the hands of the judiciary. Because the lawsuit against the memorial involved administrative rather than constitutional issues, the opponents will have no legal recourse if the Senate approves the House-passed bill, he said.